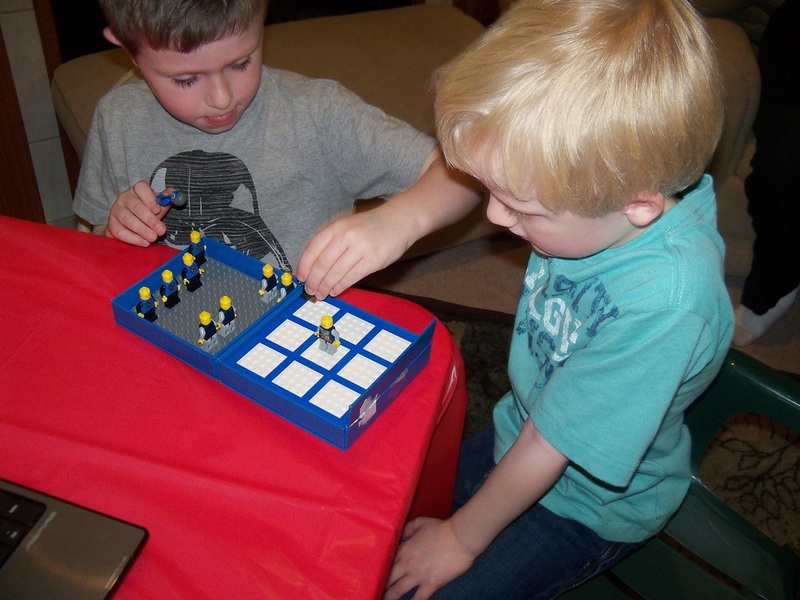 Our version of checkers is a board made of white and black lego's it features two different figures based on your theme, and allows for kings with lego pieces. this dependes on your theme though, for example if you have a star wars theme the wookies could be one side, and battle droids on the other! wookies for kings would have crossbows or blasters and battle droids would have blasters! If the theme were to be knights we would have two differnet colors of knights with a king having a sword! Our version of Tic-Tac-Toe inlolves a board that consists of black and white tiles more than large enough to hold a Lego minifigure on it. 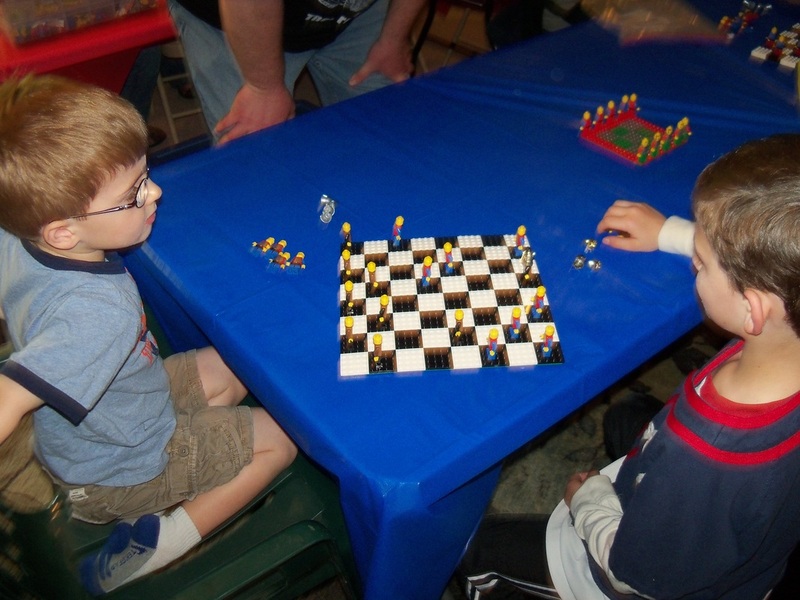 Minifures, like checkers depend on your theme. for example you could play this game with firemen and police officers, if your theme was.. you guessed it! Lego CITY! or R2-D2 and battle droids for a star wars themed party!